I came across this book as I was shopping for my week of camp (which just ended). Our (my wife & my) theme was @VOne2012 - I Like Camp Horizon. It was basically Social Media camp, where we took away their connection to the outside world and ran a program that played on some of the elements that go into social media--& some of the inherent responsibilities for the Christian who finds themselves in that world. I came across the book about three weeks before our camp started & thought: Wow, I need to read this book & see what other people are saying about this topic! I'm glad I did! This book reads somewhat like a textbook. Albeit, a very interesting one that gives illustrations to illuminate & expound on the points being made in each chapter. The chapters end with bullet points that form a summary for easy synthesis. There is also a reinforcing prayer offered at the end. All of which are helpful to tie loose ends and emphasize the point. I never found myself mesmerized by the diction or the tone of the book. The book strove to instruct rather than entertain or move the heart--though there are heartwarming stories between the two covers. The book also contains a "getting started" guide for social networking & a glossary of terms. Therefore, this book can serve as a quick reference guide. Christians are called to be in the world, but not of it. In this day & age, that means having an online presence, but not succumbing to the temptations which abound in cyberspace. In essence, the message of this book is that what is acceptable & good for the Christian in real life, is acceptable & good for the Christian online. The converse also holds true, if it is sin in real life, it is also sin on the web. However, this book is not just about right & wrong. It is also about the opportunities that abound in social networks. The authors try to illuminate readers to the various online channels they can utilize to be salt & light in the online community. The field truly is white for the harvest, & needy people are taking to the internet to find answers. We need to join the conversation & share the hope that we already have in Christ. The goal is to balance input (what you say), interaction (what you hear), value (what you add), and follow-up (what you give). This book does exactly what is needed--it vocalizes some common sense to Christendom. Granted, there is nothing in the book that a Christian does not already know, the real challenge is to do it. Perhaps people feel that since a lot of online activity can be done in solitude, that their virtual lives are also encapsulated in a private sphere. However, it is time to remember that nothing we do online is private. Everything we do should be for the Kingdom of God. 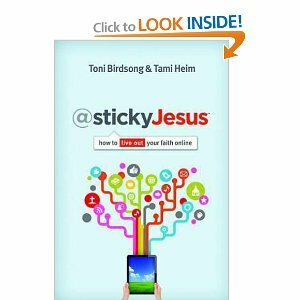 I give it 3 out of 5 stars & recommend it for anyone who needs to orient themselves to online ministry. Search my blog for anything labeled @VOne2012 or #BTSermon, these are my efforts to use social media for God's glory.